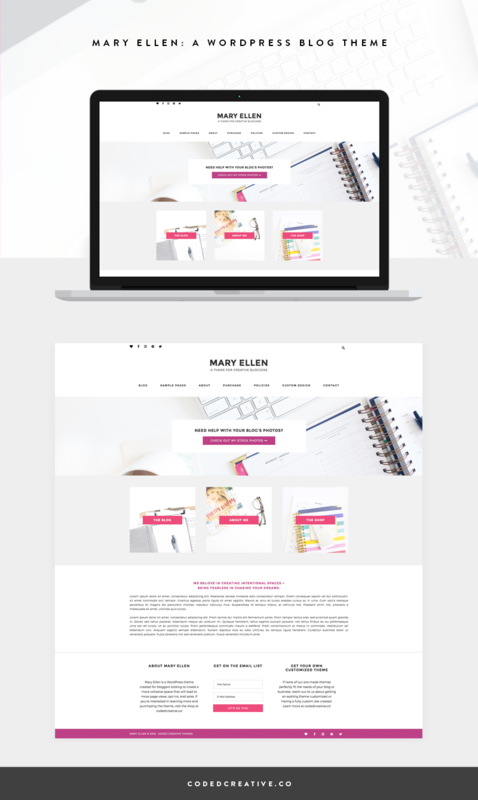 Mary Ellen is a simple and feminine blog template created for the WordPress platform. 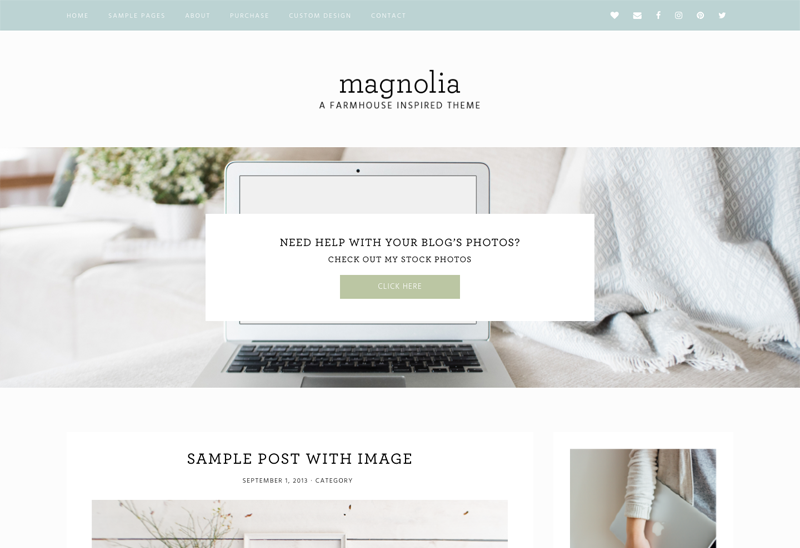 With its simple style and the ability to add a custom Home page, your content will look amazing and do all of the work of growing your blog for you. 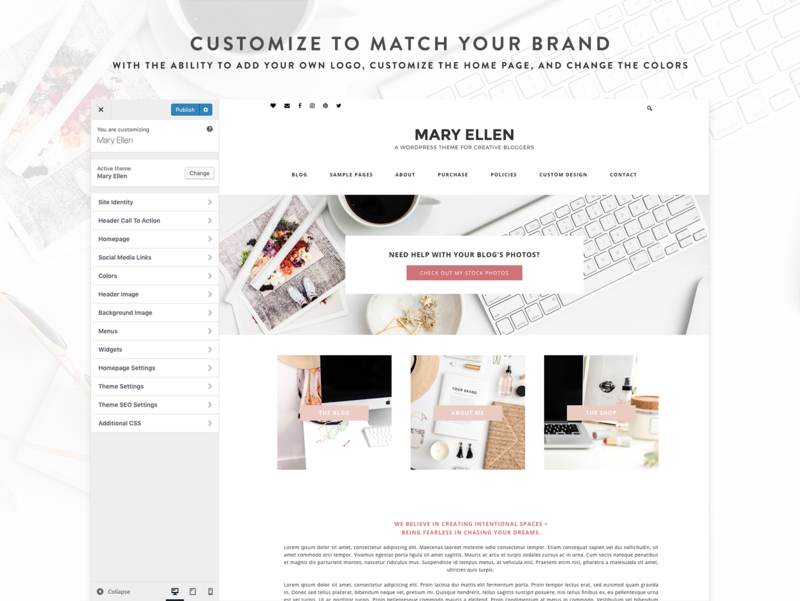 Other great features include mobile responsiveness, social share icons, and the ability to upload your own logo! Pages, sidebar widgets, and links can be added, deleted and re-ordered at any time. 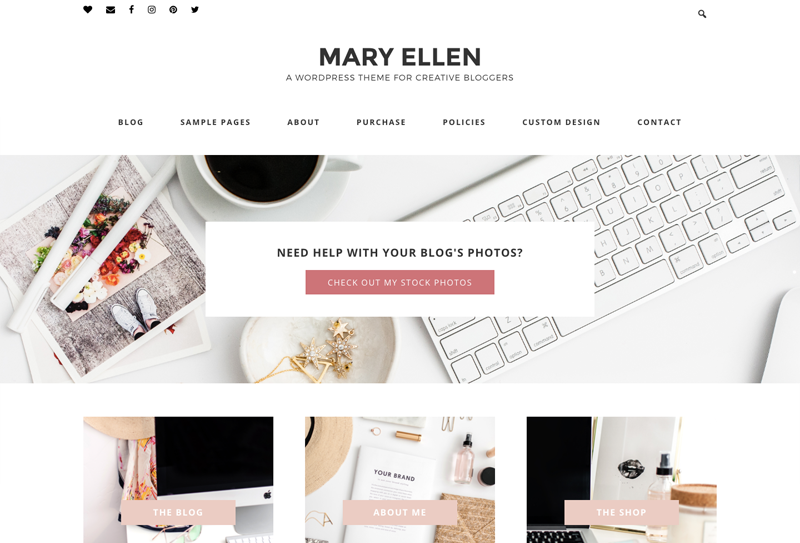 I chose the Mary Ellen theme because I wanted a design that was current, easy to implement, and had several areas to place an opt-in form. I love how my website looks and even more that I didn't spend a fortune paying a web designer! When I came across the Mary Ellen it was like love at first site! It had everything I was looking for, professional looking but still a fun flair to it. 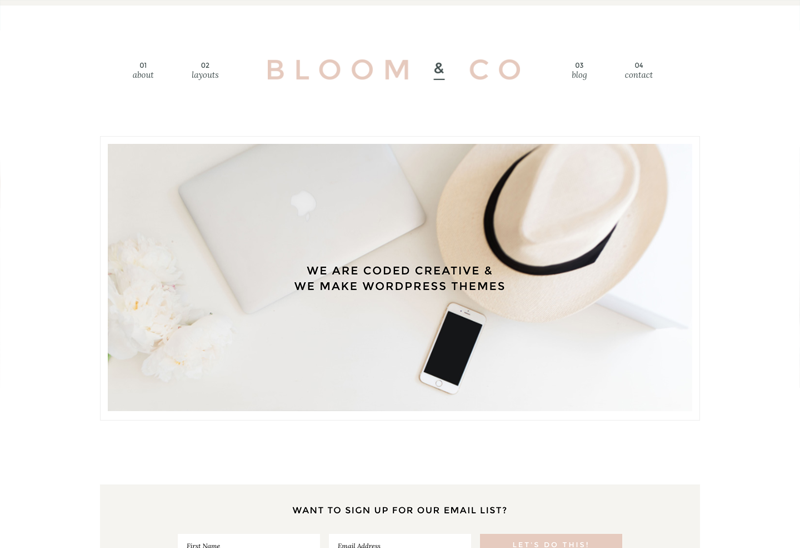 It's funny how much your theme can make a difference in your business. I've already had multiple people tell me how good my website looks and have had my bounce rates drop. 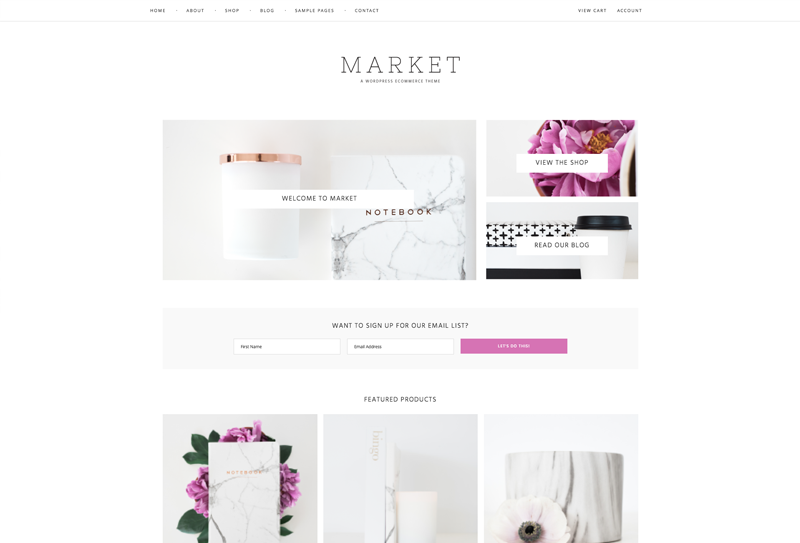 Thanks for such an amazing theme to help me grow my business! I fell in love with Mary Ellen, and I love how easy it was to customize. It's so clean and minimalistic, which is something my last theme wasn't. 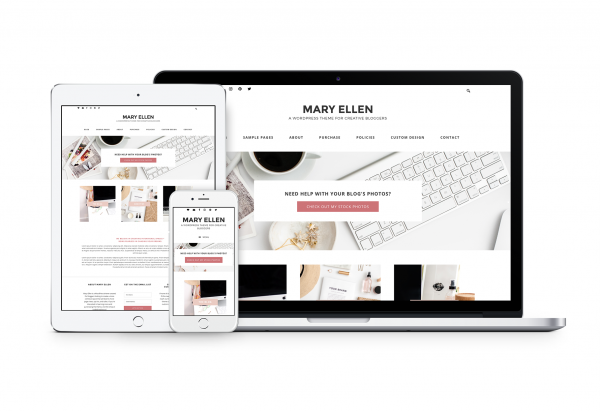 Since switching to Mary Ellen, I've seen an increase in email sign-ups, too, which is always a great thing! Coded Creative knocked it out of the park with this one! 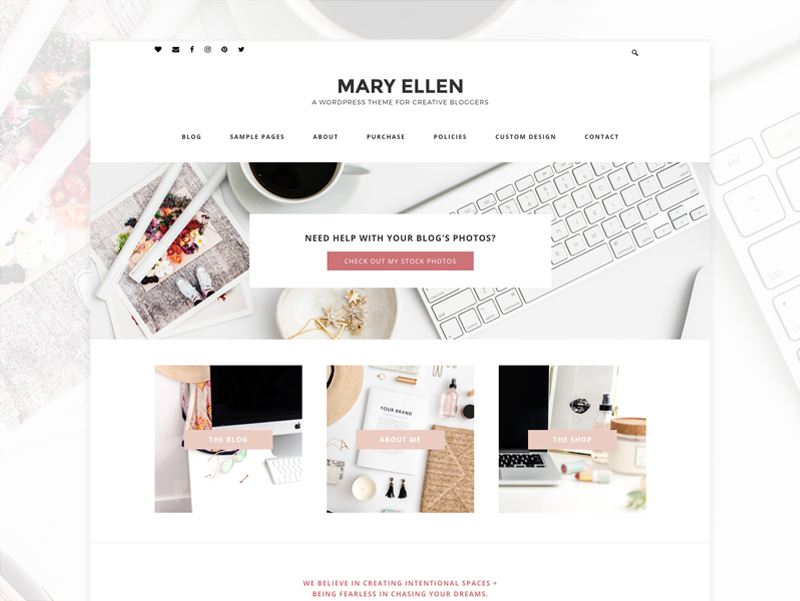 The Mary Ellen theme is absolutely gorgeous and seriously functional. 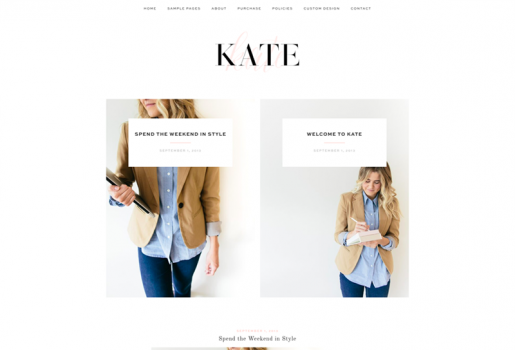 The fact that I, a web designer, would choose that theme for my business site, says a lot about its quality. I also recommend the theme to my clients as well, as the level of built-in customization options of this WordPress theme goes above and beyond many other themes I've worked with.